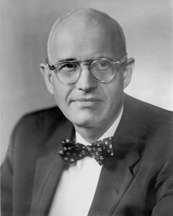 NEUBERGER, Richard Lewis, (husband of Maurine B. Neuberger), a Senator from Oregon; born in Multnomah County, near Portland, Oreg., December 26, 1912; attended the public schools of Portland, Oreg. ; attended the University of Oregon at Eugene in 1935; author and reporter; correspondent for the New York Times 1939-1954; member, State house of representatives 1941-1942; during the Second World War was commissioned a lieutenant and later a captain in the United States Army 1942-1945; member, State senate 1949-1954; elected as a Democrat to the United States Senate and served from January 3, 1955, until his death in Portland, Oreg., March 9, 1960; interment in Beth Israel Cemetery. American National Biography; Dictionary of American Biography; Neuberger, Richard L. Adventures in Politics: We Go to the Legislature. New York: Oxford Press, 1954; U.S. Congress. Memorial Addresses. 86th Cong., 2nd sess., 1960. Washington, D.C.: Government Printing Office, 1960.